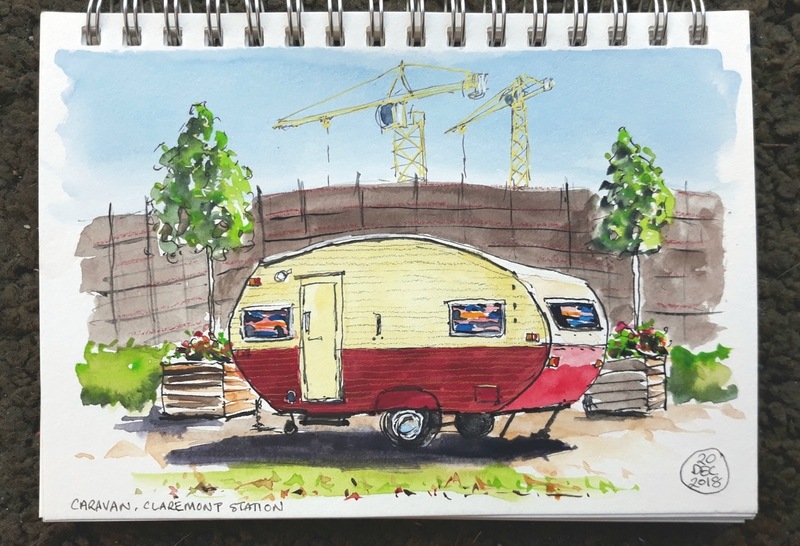 There’s a really cute 60’s/70’s style caravan sitting on the carpark next to Claremont train station…it’s been there for at least 12 months. 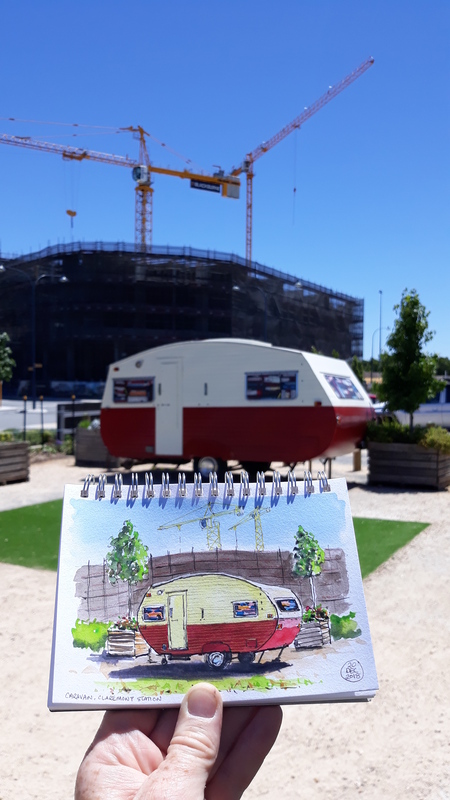 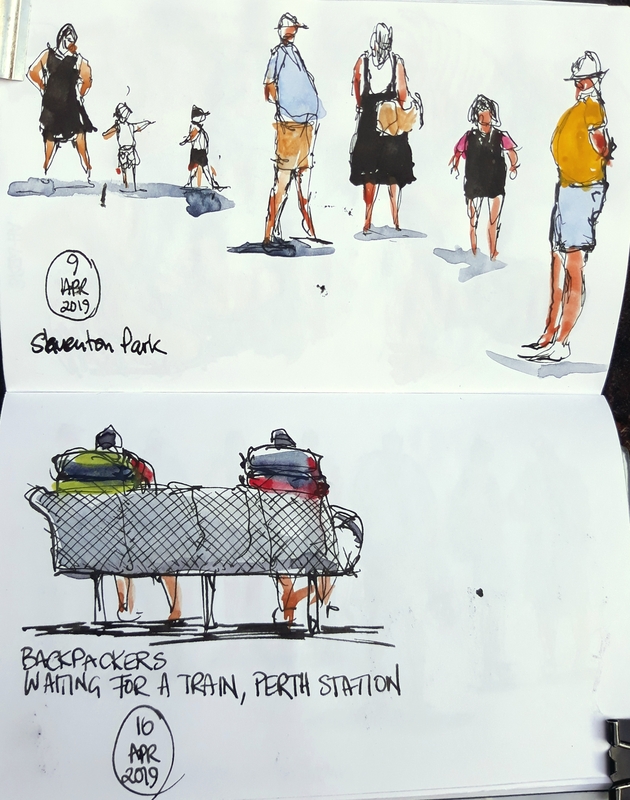 I’ve been past it many times on the Fremantle-Perth train but never stopped to sketch it, the van body has lovely curving lines. 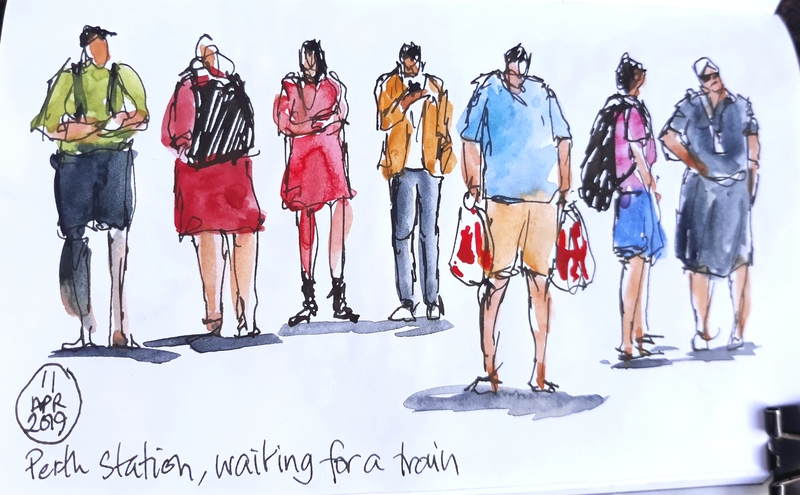 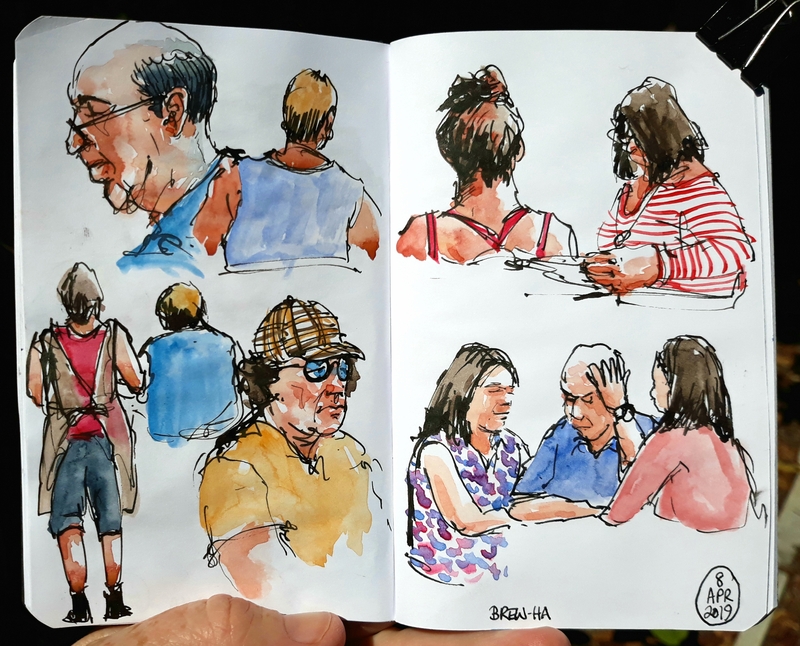 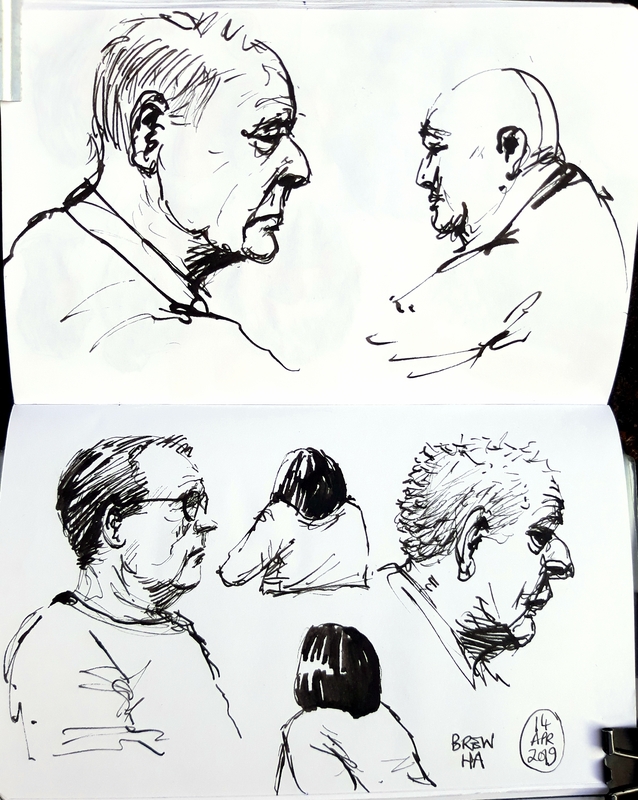 On Monday we had an impromptu sketch-meet at the The Goods Shed Claremont….the perfect opportunity. 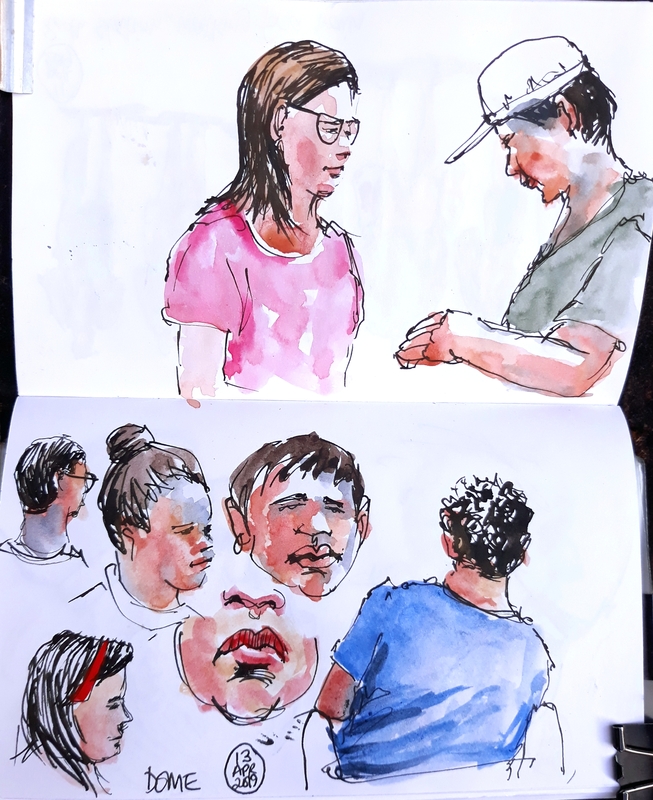 A profile sketch in the local cafe, inked on site, colour added later, mostly wet-in-wet watercolour technique.